Soon, we may have one more weapon in our arsenal to fight cancer. Dr. Dave Wilson, a biomedical engineer at Case Western Reserve University in Cleveland, has created a new way to look at minute details of diseased cells. His creation is a 3D cryo-imaging system, and he believes it’s the only one that can count the exact number and position of molecules and cells in an organ while pinpointing the exact location and number of cancer cells in an area. What this means for cancer research is big: this device could locate a single cancer cell in a specimen. 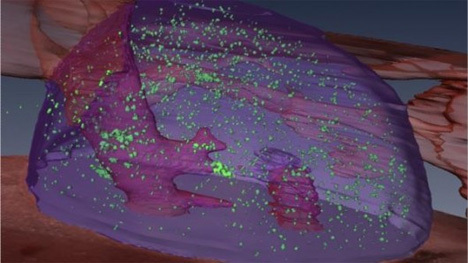 The system is currently only being developed for animal studies, but the advances made with this technology could be used to track the effectiveness of gene and cellular therapies on specific parts of the body. Dr. Wilson says that his inspiration came from the blurry, low-resolution optical images he was using to identify diseased tissue. 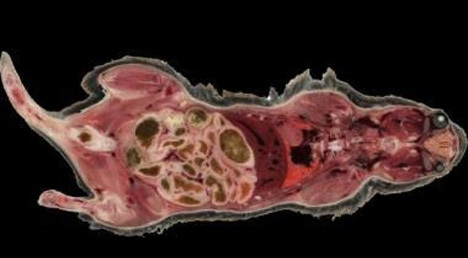 His 3D cryo-imager is able to deconstruct tissue samples layer by layer, reassemble them into a high-resolution three-dimensional model, and even text message researchers to update them on its progress. 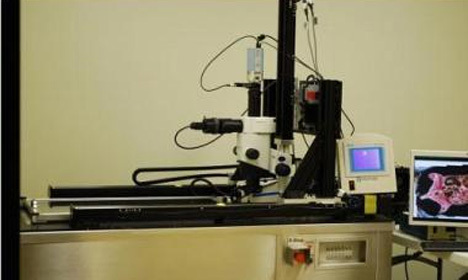 The biggest advantage offered by this type of imaging is its high resolution. A colleague of Dr. Wilson said that the new technology would allow them to visualize troubled cells rather than guess which ones were the problem. Dr. Wilson has started a company, BioInvision, to commercialize his invention. Though it’s still in the prototype stage at this point, the technology and its abilities look promising for future cancer research. See more in Medical Marvels or under Science. December, 2009.